Between 7 and 18 December 2009, at the Bella Centre in Copenhagen, Denmark, delegates from the world over are expected to approve some kind of “Son of Kyoto”. In UN jargon it is going to be called the “United Nations Climate Change Conference – Conference of Parties number 15”, that is COP15. A quick look at the websites about COP15 will reveal the level of organization behind it. But nobody would like to put up with so much work only to see the Conference fizzle away without a decision being actually taken. The challenge to design a “Son of Kyoto” is recognized by all. And the solution is…the delegates will be put under pressure enormous enough to convince them. The motto will be “Sign, or else!”. 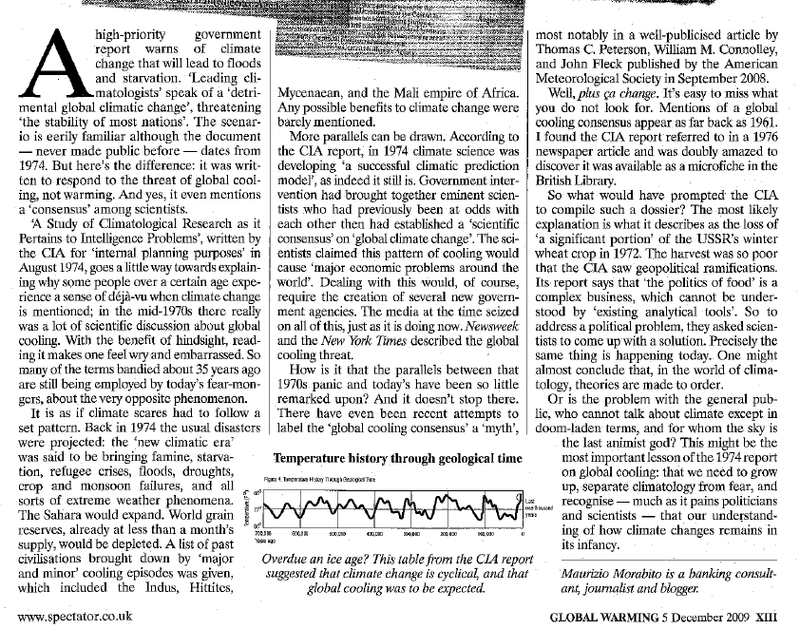 Expect therefore an onslaught of climate-related disaster news between now and December 2009. No melting glacier will be forgotten, no summer temperature will be taken as normal or cold, no semi-idiotic model-based forecast of the climate in 2050 will be left out of Nature magazine. The Queen will talk about climate change, the Pope will talk about climate change. Stunts will be performed in London and New York to highlight the cause of climate change. The Catlin polar expedition will try hard to take pictures of a melting arctic landscape perhaps from the plane that will carry them back home. 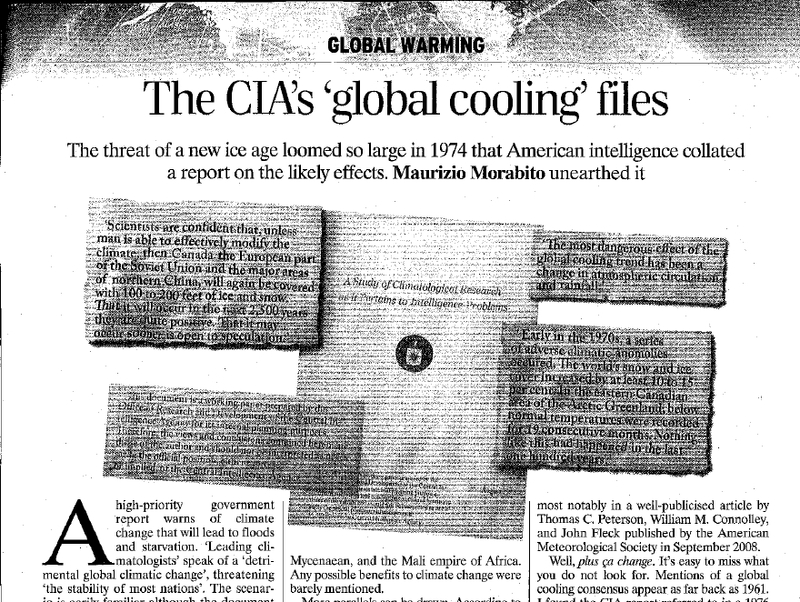 New temperature reconstructions will surface just at the right time to confirm Michael Mann has always been right, even when he was wrong. Scientific American, The Economist, The New Yorker will join up in the calls to “act now“. Even the WSJ will timidly join the chorus, just in case it does become a good political point. Football (soccer) will be enlisted to support the cause. Corals will start bleaching again, and every tropical Atlantic cloud and wind will be classified as a category-2 hurricane. Intriguing new relationships between climate change and earthquakes are going to become big news, just like the in hindsight the “obvious” link between global warming and swine flu. Unprecedented numbers of charities will jump up the climate bandwagon, and ever more absurdist claims about the consequences of global warming will surface, including a humankind-busting imbalance in the ratio of girls vs. boys, and an increase in the usage of paracetamol and aspirin. The only positive news is that whatever pressure we are going to see the buildup of, and whatever agreement will be reached at COP15, Joe Romm will be unhappy. Of that, we can be more or less certain. Beard, a classics professor at Cambridge University, takes cheeky, undisguised delight in puncturing the many fantasies and misconceptions that have grown up around Pompeii — sown over the years by archaeologists and classicists no less than Victorian novelists and makers of “sword and sandal” film extravaganzas. While many scholars build careers through increasingly elaborate reconstructions of the ancient world, Beard consistently stresses the limits of our knowledge, the precariousness of our constructs and the ambiguity or contradiction inherent in many of our sources. “There is hardly a shred of evidence for any of it” serves as her battle cry, and it’s a noble one. Good: “How high is the sea rising?” (March 12, in German, Sueddeutsche Zeitung), where journalist Axel Bojanowski illustrates the not-so-worrying, middle-of-the-road and worst scenarios (respectively, with a rise in sea levels by 2100 of 18-30cm, 95cm and 2m). Tellingly, Bojanowski writes: “The problem is, all scenarios are based on good arguments”. Bad: “Sea rise ‘to exceed projections’” (March 10, in English, BBC News), where journalist David Shukman goes for big scary numbers (a metre or more by 2100, 600million people potentially affected) and a collection of adjectives in comparative form (higher, faster, hotter). There is no indication whatsoever about any scientist convinced of lower estimates. Bad: “Copenhagen summit urges immediate action on climate change” (March 12, Nature News), where journalist Olive Heffeman reports that “sea levels could rise as much as 1 metre by 2100” and forgets to mention any scientist thinking otherwise. What makes one of them good, and two bad? Well, if you cannot spot the difference between presenting the scientific debate as it is, and selecting only the stuff that a journalist deems worth noticing, I am not sure I would be able to help.